I got a nice surprise from one of my favorite plants this week. My Dracaena reflexa 'Song of India' is preparing to flower. The whole plant. That is a standard-sized folding chair on the left, so this is a rather tall plant. The flowers buds are in the cluster of leaves to the right of the bare stem, near the top. I've never had a Dracaena bloom for me before, or show any inclination towards doing so. 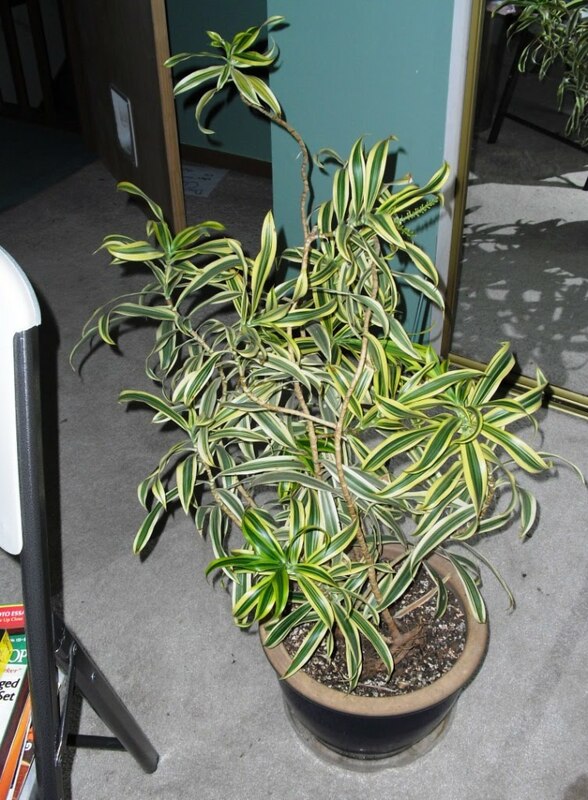 I've had this particular plant for about 8 or 9 years. 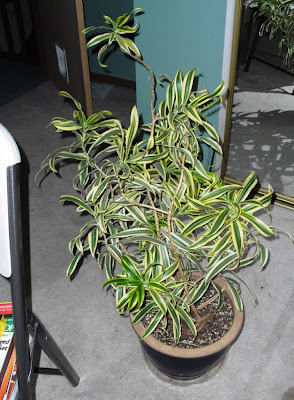 I love the variegation, the way the branches twist and turn, and the fact that it produces new growing points regularly, without being pruned. I probably should prune it one of these days, though. I can't quite tell if I like 'Song of India' - I guess I like the growth habit, but not the variegation. Too much yellow for my tastes. 'Song of Jamaica' is prettier. 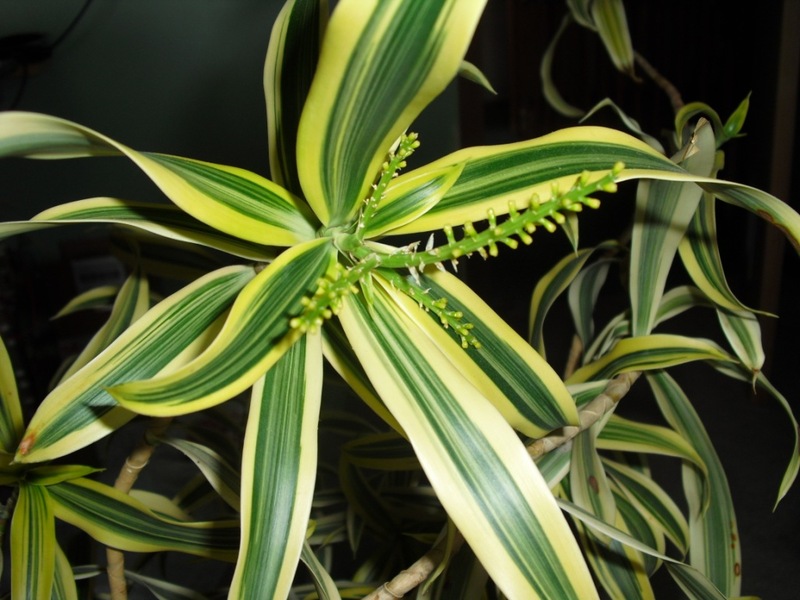 Still, flowers are cool - I haven't ever seen a Dracaena blooming indoors.